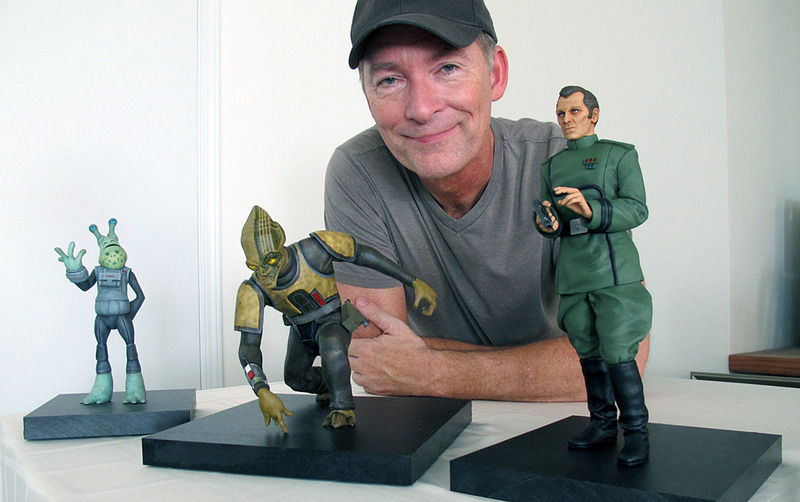 For years, actor Stephen Stanton has been something of a secret weapon in Star Wars. A vocal chameleon, he’s brought original characters to life and portrayed fan favorites, all in beyond-convincing fashion. 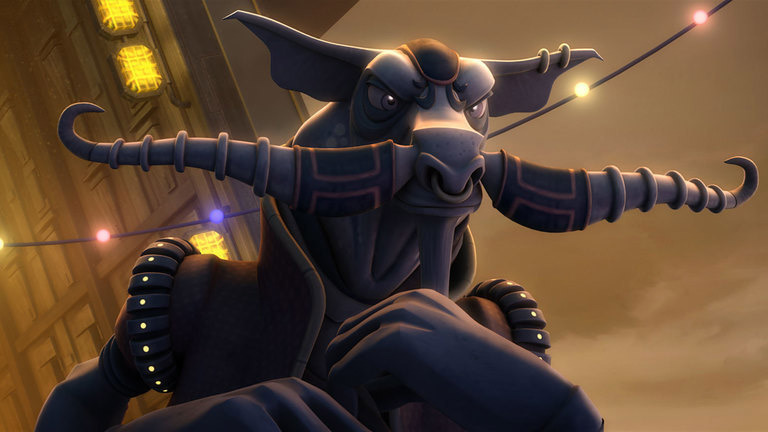 (His old Ben Kenobi in the Star Wars Rebels episode “Twin Suns” is a must-hear voice-acting masterwork, FYI.) 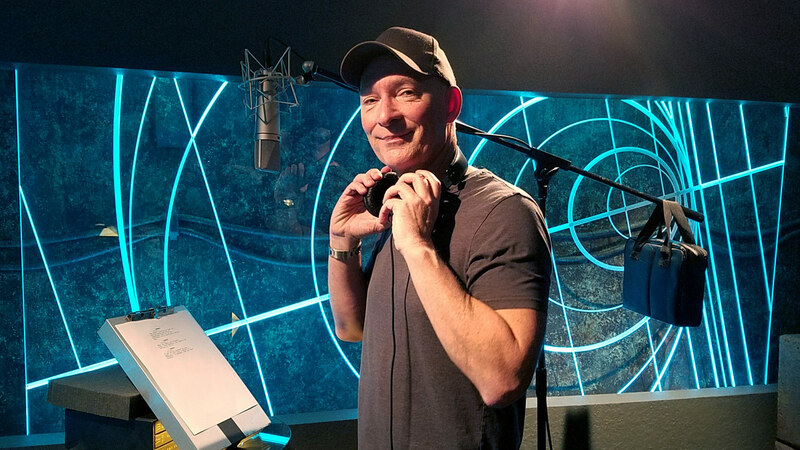 With Star Wars Rebels returning for its final run of episodes starting on Monday, February 19 on Disney XD, StarWars.com spoke with Stanton — armed with his personal journal of recording memories — at length, running at random through the many heroes, villains, and singing droids that he’s played in everything from Star Wars: The Clone Wars to Star Wars Rebels. 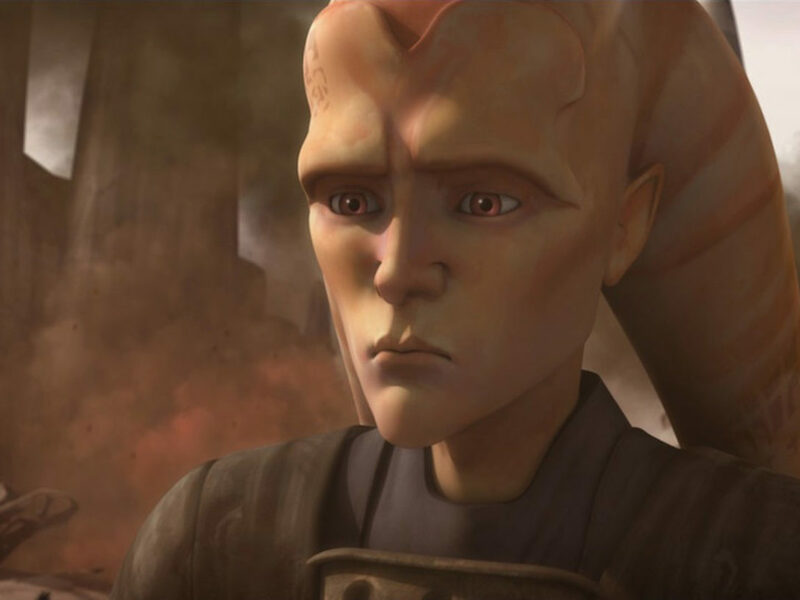 StarWars.com: I’d like to start off with Tarkin, specifically from The Clone Wars. StarWars.com: Yeah, Captain-slash-Admiral Tarkin, I believe. Stephen Stanton: Although, when the audition went out, originally, he was just referred to as “The Sergeant.” And you know, Lucasfilm was very, very… Let’s see, how do I put this. They were very secretive. They didn’t want, when they were sending out scripts to the agents and things, they didn’t want Star Wars or Clone Wars to be printed on anything. 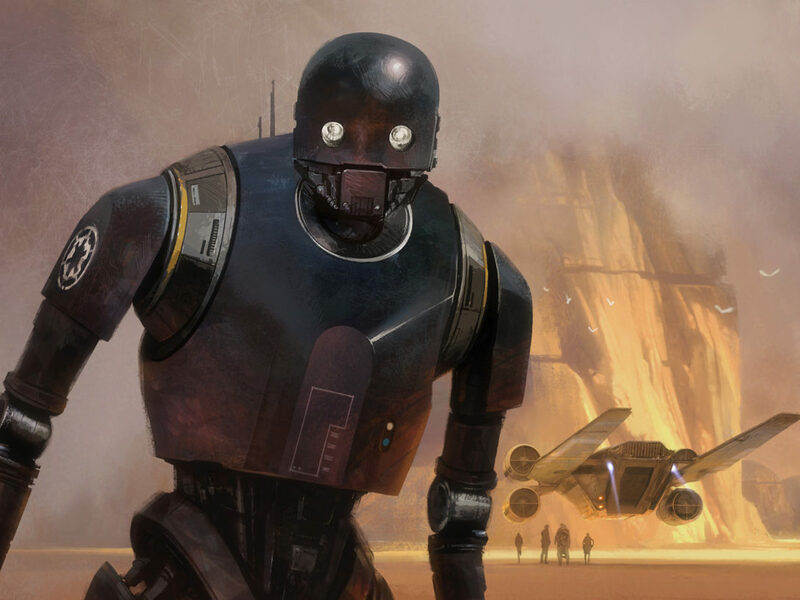 They would send things out with false character names and they would change the dialogue, so if it said the word “droid” they would change that to “robot.” They would just use ordinary terms, so you didn’t know what you were reading for. That one said it was for an episode called “The Prison” and the character was “The Sergeant.” But the giveaway was at the bottom of the page. They had written that they need a Peter Cushing sound-alike. I had already worked on the show doing Mas Amedda, so I was used to these scripts coming in this way. So I knew what it was, obviously, that they were looking for, especially once you read the dialogue. Considering it was The Clone Wars and it was a younger Tarkin, I went back and referenced Peter Cushing’s films from the 1950s. Especially the stuff that he did when he was doing films for Hammer. And I actually settled on a BBC TV series he had done in the ‘60s on Sherlock Holmes, because I thought the attitude really matched Tarkin in The Clone Wars. Because in The Clone Wars, Tarkin is not yet the villain. He’s working side by side with the Jedi. He’s just really hard to get along with because he’s opinionated, he thinks he knows everything. He’s very short with people. And I thought, “Well, that really is the character of Sherlock Holmes in a lot of ways.” He doesn’t suffer fools. He gets to the point very quickly and he’s opinionated. So I used that as the jumping off point for that character. And he kind of stayed that way for most of the series. The dialogue started to change when he began reaching for power. So some of the dialogue became more forceful and a little bit darker. It’s funny. When we would do these sessions, we would all sit left to right from each other, and then facing us would be the control booth where [supervising director] Dave Filoni and the engineers sat. The good guys always tended to sit together [Laughs], and the bad guys would come in later on and sit at the other end of the room. You would have Matt Lanter, James Arnold Taylor, Ashley Eckstein, and Cat Taber over there. And then as you go around the room you would get Dee [Bradley] Baker and then maybe Jim Cummings, Corey Burton, and myself. I would sit next to Corey because we were almost always playing villains. But what it did was, when I was playing Tarkin, I had most of my interactions with Ashley, I always had the chance to look at her directly across the room when I was talking to her. Just as if we were on the set. That way I could have Tarkin [Laughs] giving her those icy stares across the room. StarWars.com: And it’s a rare thing in animation, right? To record as an ensemble? Stephen Stanton: You know, it really depends on the project. In motion pictures, usually in feature films, they don’t usually do ensembles. Everyone records separately. In television it’s kind of a mixed bag. I’ve been on some shows where we record by ourselves. I’ve done that on Clone Wars and Rebels, where it’s just me in the room. But they always tried to do it as an ensemble and they did it almost every single episode I was on in Clone Wars. They had almost the entire cast of the show there, which is remarkable. That’s the hardest thing to do, to juggle everybody’s schedules so that they can all be in the same room together. Unlike being on an on-camera television show where, usually, the show you’re on is what you’re contracted to do and that’s what you’re doing every week, in voiceover you can do multiple shows in one day because it doesn’t take as long to do an episode in voiceover as it does to do a live-action television episode. StarWars.com: When you were auditioning for Tarkin and researching, did you kind of know that you could do the Peter Cushing voice? It’s so distinctive… I’m not an actor, but I know I couldn’t come close to it. Had you practiced it before? Did you have an idea you’d be able to pull it off? 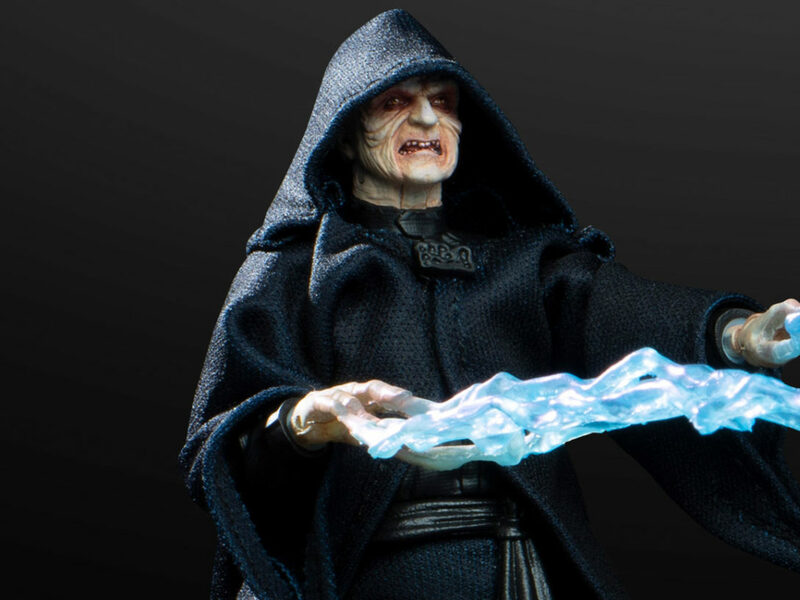 Stephen Stanton: I had played around with it in the past, because there are a lot of iconic lines in Star Wars that [are fun to mimic], whether you are saying [in Peter Cushing voice] “You may fire when ready” or you’re going to Alec Guinness, saying [in Alec Guinness voice] “Run, Luke, run!” Just as a voice actor and playing around with things, you’re always spouting off these lines to practice or to just entertain people. [Laughs] So it was one of those voices that I hadn’t focused on for any particular reason, but it was definitely one I had definitely played around with. StarWars.com: Did Dave give you any instruction on how you should view Tarkin? I know you were saying he wasn’t a villain straight away, which he wasn’t. But toward the end he seems to be determined to arrest a Jedi and put a Jedi on trial. Stephen Stanton: Yeah, that was essentially what we talked about, especially toward the end. That this was his power grab. This was when he was rising in the ranks and it was no longer about right and wrong. It was about what’s right for Tarkin more than anything else, and his application of fear to get what he wants. StarWars.com: Probably my favorite character that you’ve done — Colonel Meebur Gascon. StarWars.com: Well, that makes it funnier! Stephen Stanton: It does. It did make it funny because it was such a contrast. His personality, I always thought, was much like Lawrence of Arabia. You know, he was a map reader who was thrown into greatness and proved that he could do more than just read and make maps. StarWars.com: I love how weird those episodes are and, to me, that’s part of what I love about Star Wars — when it dares to get strange and funny. I feel like that arc is just the perfect example of that, especially when he’s kind of losing his mind in the void. What can you tell me about that sequence, where he’s just losing it and dancing around, and you’re just kind of yipping? I’m curious what it was like recording that. Stephen Stanton: Well, it was interesting. Those episodes, for the most part, that giant room that I was describing to you, it consisted of myself and Ben Diskin playing WAC in there by ourselves, because the only other characters aside from Dee Baker’s were the droids. So we’re in this giant room, just kind of like, playing to each other. In that particular sequence, where he loses his mind in that delusional state being out there in the desert, Dave said, “Look, just get as big and as wild as you want with this. Go Warner Brothers animation with it.” He was thinking more along the lines of Looney Tunes, and those big, larger-than-life characters. He said, “Don’t be scared to go too far on this.” Of course, you know, I have to trust the director because he’s the one helming this project and knows what the final vision is supposed to be. At this point, I don’t even know what the planet looks like, other than the way it’s described in the script. So I just kind of cut loose on that scene. Wild, insane laughs where he’s just losing his mind and hallucinating and seeing mirages. It was a lot of fun. You don’t usually get the chance to explore characters’ personalities and arcs like that, because you don’t see them that much. A lot of times they’re guest shots, but Gascon was not only in a four-story arc, he was really, aside from WAC, the only other organic character that had a speaking role. So he had a lot of dialogue and they really had the opportunity to show a lot of sides to his personality. Otherwise, it would have become very one-note if he was just like, mean to Artoo and the other astromechs the whole time. StarWars.com: He goes on a real arc over the course of those four episodes. You really get invested in him and learn a lot about him by the end. Stephen Stanton: Yeah. For me, he was so much fun to do because of that. Like I said, I know the fans were divided, but it was a lot of fun to do the comedic stuff. The author of those scripts, Brent Friedman, has consistently turned out episodes that I have been fortunate to be a part of, and they’re all landmark episodes. In The Clone Wars, he also wrote the Moralo Eval arc, and in Rebels he wrote “Double Agent Droid” and “Visions and Voices.” They’re really original ideas. StarWars.com: That means you’re doing it right, I would say. Stephen Stanton: [In Alec Guinness voice] “Ah yes, Ben Kenobi. Old Ben Kenobi…” Now, the story about how I got this is kind of interesting because it was quite by accident. I was in a session doing “Double Agent Droid” and at the time we were recording it, the topic of the Disney Infinity 3.0 video game came up. I asked Dave Filoni if he knew that Meebur Gascon actually makes an appearance in that game and he didn’t, but asked if I did the voice. 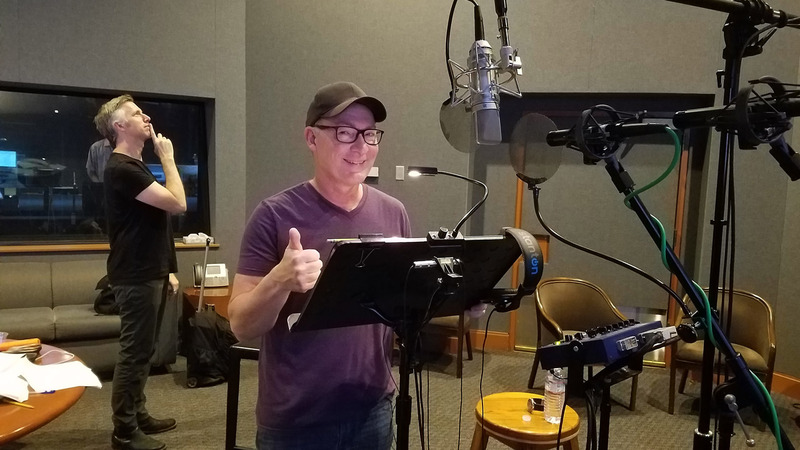 I said, “No, I didn’t do the voice but I would have gladly done it for them, because I was already in there voicing Ben Kenobi for that game.” Dave asked to hear my Kenobi and I said, “Okay,” but could not think of one single Ben Kenobi line. My mind just went completely blank. One of my other castmates, I think it might have been Vanessa Marshall, said, “Oh, you know, do the scum-and-villainy line.” And I said, “Oh, yeah, yeah, that’s great… How’s it go?” [Laughs] And so everyone is like, helping me out a little bit, and so I said a couple of lines to Dave and he nodded his head and we moved on. So in this episode [“Twin Suns”], even though some of the major characters are in it, they kind of bookend that episode. They recorded their part for the beginning and the end, and then they cleared the room, and then it was myself, Sam Witwer, and [Ezra Bridger actor] Taylor [Gray]. We were all together in the room and we kind of positioned ourselves. I was on Taylor’s left and Sam was on Taylor’s right, so we had him right in the middle. It was sort of a tug of war. It was great. We tried out a lot of different things in that episode. Dave doesn’t want to tell you too much. He doesn’t want to influence what you already have in your mind and what you’re bringing to the scene. He wants to know what you thought about the scene, how you interpreted it, and what you bring to it first before he gives you any direction. So we kind of did that with this. We ran through the scene, they recorded it, and then Dave started giving us notes. It was so well written, of course, Dave wrote it. I think he knew exactly what he wanted and we played around, we ad-libbed, we added things, we took things out. I actually came back several times to record. I think one time I came back just to change one word. 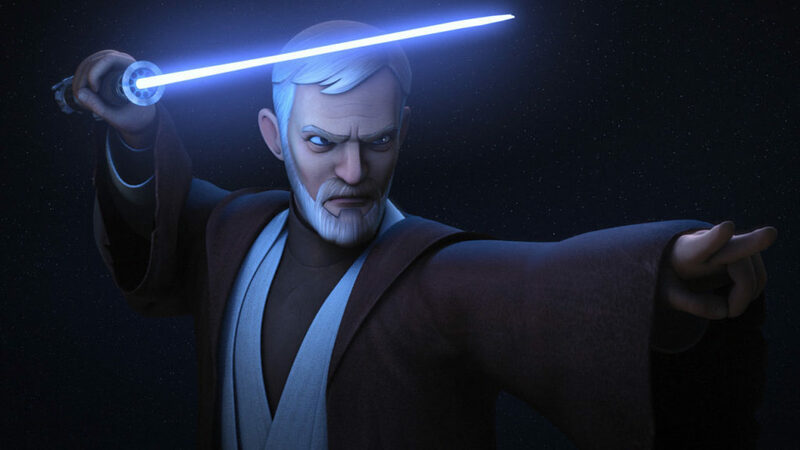 StarWars.com: I wanted to tell you, when I first saw the episode, I was like, “God, that’s an amazing Ben Kenobi.” And then I think, like a week later, somebody was talking about it. I think I heard someone in the office saying, “Oh, yeah, Stephen Stanton did Ben Kenobi,” and I was like, “What?” It didn’t sound like you — I would never have placed it. And so, I’m just curious, kind of like Tarkin, how did you come to do a Ben Kenobi and Alec Guinness that well? Stephen Stanton: Well, thank you for saying that. It’s wonderful to hear. Well, Ben Kenobi, I’ll say when Star Wars came out, he was probably one of the characters I used to quote from the most, when I used to play around with voice acting and things like that. Then in 2004, Lucasfilm was doing Battlefront II. I actually booked the Ben Kenobi voice match for that. That was the very first time that I worked for them, in 2004. So I voiced Ben Kenobi for them in Battlefront II, Empire at War, and then there were some other things that came along. The arcade game, Star Wars: Battle Pod, some commercial work that just turned out to be tests or they didn’t air them. So I had been doing Ben Kenobi, that character, for Lucasfilm for quite a number of years. There was just no call for that character from that time period to be in any of the animated series. StarWars.com: For a character like that, you’re kind of basing your performance off someone who came before you, and someone who is so iconic. Do you find that with each time you try it, you’re improving and changing things? Or do you have it from the get-go? Stephen Stanton: No, I think you get to know the character better the more you play the character. You know, if you have one project and you’ve got three lines, well, you do the best you can with those three lines. One of the things that I studied was all of Guinness’ lines through all of the original trilogy, all of them. Because his character changes from one movie to the next. Once you get the voice down, that’s the foundation, and then you have to build on that. The way that I do it is, I try to get inside that actor’s head on what they were trying to bring to the character for the films. You can’t just go, “Okay, I’m going to watch Star Wars: A New Hope and I’ve got the Alec Guinness voice down.” No, what did he do in Empire? And then what did he do in Return of the Jedi? He did something different each time as that character evolved and you got to know more about him. So I have to do the same thing, and then I have to do my best to step into that person’s shoes and say, “Now, if this person was here today, what kind of choices, acting choices, might they make about that character with this story that they have now?” That’s part of the research and the work that goes into doing the voice match. It’s not merely just getting the voice down. Especially with these known characters, I find that I have to go back and really study the actor. Peter Cushing, for example, I read his autobiographies, both of them. I have them in print form and I listen to them — I have a rare books-on-tape version that he did. I listen to him in interviews. And that really helps inform me to make choices for lines of dialogue that he’s never said. You try to get into the personality, the person, and the kinds of things that they bring to their films. Like, I have a collection of about 40 Peter Cushing films. And he does something different each time, but I can see the kinds of things that he does as an actor, and I start to understand the man as an actor. That helps me to bring new things to the character of Tarkin, in whatever form he appears in now. 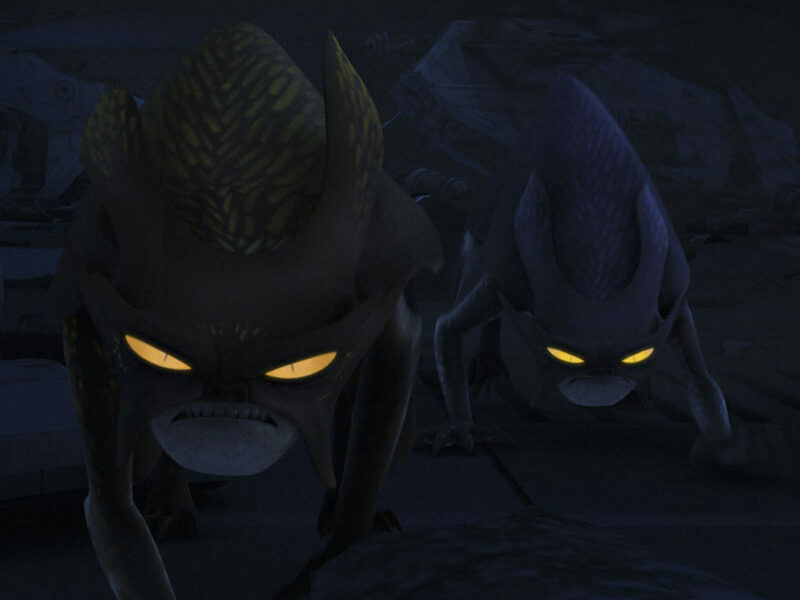 Stephen Stanton: Mas Amedda is the very first character I did for The Clone Wars. 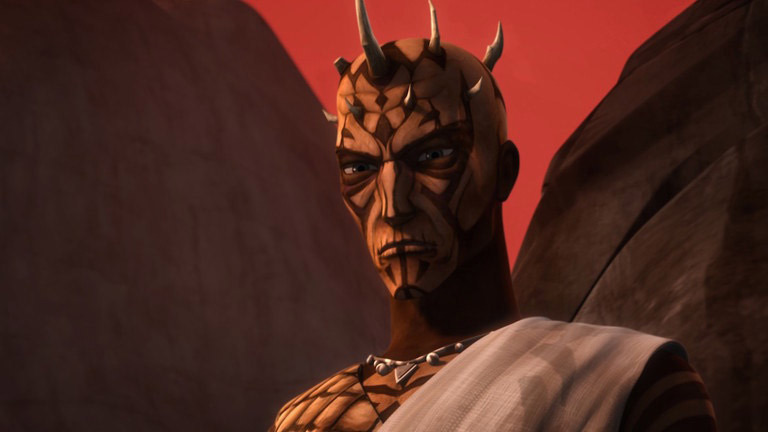 I did a voice match that appeared in Season Two’s “Duchess of Mandalore.” When I came into that episode, I knew who Mas Amedda was from the motion pictures. You know, he doesn’t speak very much. He only has a few lines in Attack of the Clones. Stephen Stanton: Right. There’s Jerome St. John Blake’s Mas Amedda and there’s David Bowers’ Mas Amedda. I think what they really wanted me to concentrate on was the David Bowers version, which is, [in Mas Amedda voice] “This is a crisis. 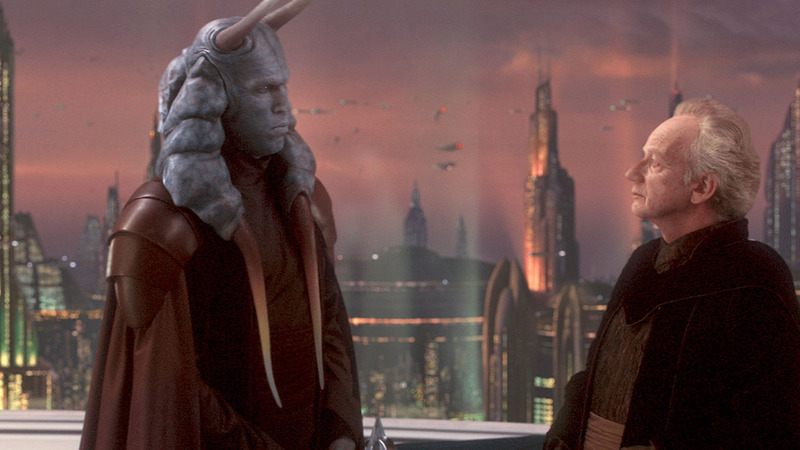 If only Senator Amidala were here…” That, I think, probably gave enough meat on the bones of the character to expand on it and do something more. I was really kind of shocked when I went into that session, because I didn’t know anything about Mandalorians. I didn’t know who Duchess Satine was. I didn’t know if this was from the show or if it was Expanded Universe stuff. Thank goodness that Dave Filoni had the habit of sitting down and giving a 20-minute pep talk to the whole cast before we went into an episode, because I was coming in at the end of the arc. I didn’t know who any of the supporting characters were [Laughs] or what the story was about. I mean, it was all new to me. It wasn’t the typical Star Wars plot that I was used to. But everybody was very friendly to me. I remember I was sitting next to Cat Taber and Anna Graves, and they were very nice to me in making me feel a part of the group. 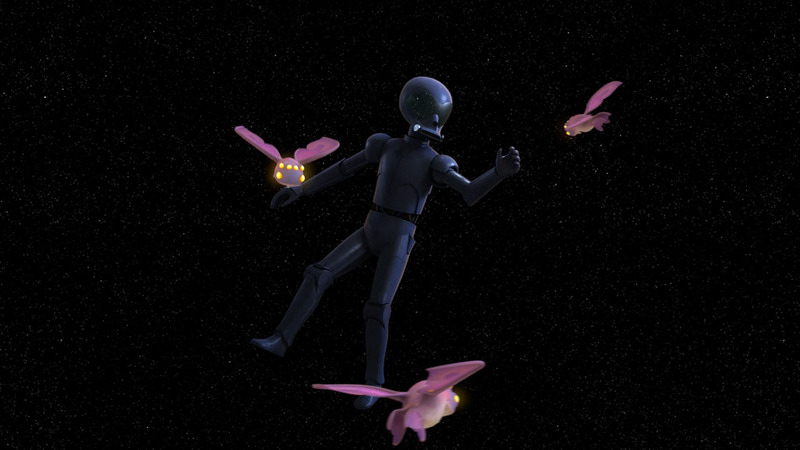 At the end of the episode, Dave Filoni said, “We don’t have any Mas Amedda action figures, but here’s a TIE fighter. Welcome to The Clone Wars.” He gave me one of those die-cast TIE fighters. I still have it to this day. StarWars.com: I was re-watching a lot of episodes in preparation for this, and I remembered how much I hate Mas Amedda. To me, he’s kind of the bully’s best friend. He’s like the sniveling friend on the side who agrees with everything the bully does, and backs him, to be on what he thinks is the winning side. But I’m curious, what’s your take on him and would you classify him as a bad guy? 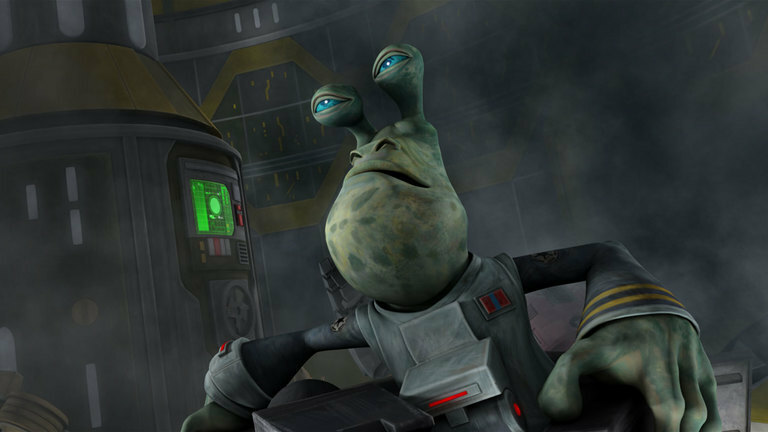 Stephen Stanton: Yeah, Dave and I had talked about that in some detail, because Mas Amedda appeared in quite a few episodes over the years in Clone Wars. I keep bugging Dave. I say, “You gotta make him show up in Rebels. You know, he’s in the Tarkin book.” So I would love to see what happened to the guy, but I just find the character interesting. Dave always explained it to me that Mas Amedda was really just aligning himself with whoever was on the winning side. So it wasn’t even so much a lust for power on his part. It’s just about him wanting to be with whoever is going to win the game. 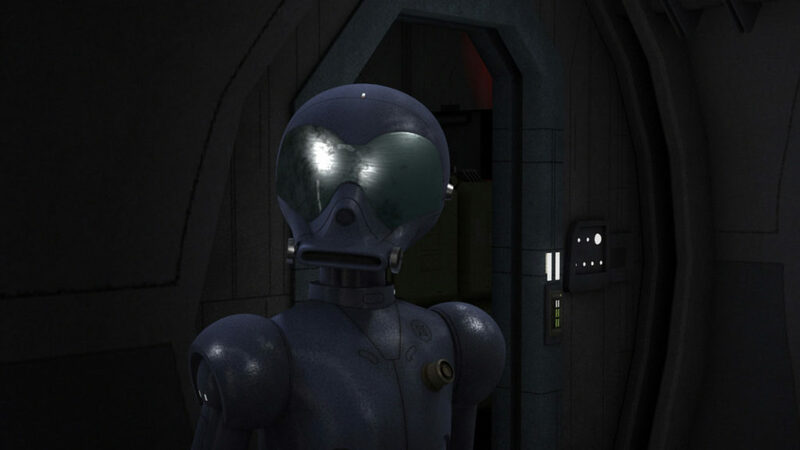 In the Season Two Blu-ray, there are deleted scenes where you see a very different side of Mas Amedda. He doesn’t need the senator or the Emperor by his side to be in power. He’s quite forceful on his own and you see it in those scenes. Stephen Stanton: Yes, Admiral Raddus, Rogue One. That audition came to me, once again, through my agent. Very secret. I did not know it was for Admiral Raddus, nor did I know it was for Rogue One. Everything was completely secret and there were no details as to what the audition was for. We get a lot of that these days. There are a lot of auditions where you need to sign nondisclosure agreements or they change the title to keep it confidential. So I laid down the audition based on their description of wanting a military character that was a cross between Winston Churchill and General Patton. And once again we get back to the George C. Scott reference. So I was listening to Churchill’s speeches and I listened to actual speeches, recorded speeches of the real Patton. He has a very Eastern Seaboard accent, almost very refined. I thought that’s probably not what they’re looking for, they’re probably looking for George C. Scott’s interpretation of Patton. So I combined those two voices together and turned that in as my audition. StarWars.com: And did you know it was something Star Wars? Stephen Stanton: No, I did not. All that information was withheld. The script just said “untitled feature film” and just had the lines of dialogue and specs from the casting department. So that was it. No picture. Nothing to indicate it had anything to do with Star Wars. I got the word back from my agent a few days later. They said you booked the job and it turns out it’s Rogue One. The name of the character on the script had been changed. So it wasn’t until I got to Disney’s ADR stage and met with [supervising sound editor] Matthew Wood, who recorded me, that I found out the real name of the character, Admiral Raddus. And then he said, “Oh, it’s this Mon Calamari,” and he showed me a picture and I thought, “That’s the character I saw in the sizzle reel!” Because the sizzle reel had come out, and you had seen glimpses of things, but you didn’t know who was who or what was what. It’s interesting recording that way, because when you’re doing ADR, you’re trying to memorize your lines as you’re watching the character on screen and matching the lips and trying to get the emotion of the scene. You know, the ship is rocking back and forth so you’re trying to get all that in the performance. I don’t remember why, but I don’t believe there was film when I recorded, [in Raddus voice] “Rogue One, may the Force be with you.” That last line. I didn’t do that to picture. I think I did it wild and I did it several different ways. So when I finally saw the end product in the theater, I was just heartbroken seeing what he was seeing when he said that. StarWars.com: Was it extra special for you to not just play a character in a Star Wars movie, but one who has a really big role in it? StarWars.com: Oh, thanks for spoiling the movie, Matt! Stephen Stanton: [Laughs] Well, no. I was just as excited to see it as anyone else. Not knowing how this character played into the saga, I couldn’t have been more happy! If there was any of the new Star Wars films that I was most excited about, it really was Rogue One because they were going to recreate all the stuff from the first film, which is really kind of my favorite, because that’s the one that started it all. Stephen Stanton: Yeah, I’ve heard it PRAY-GO or PREE-AY-GO. I don’t know. That was part of that younglings arc. When did we do that? Was that “Bound for Rescue”? Yeah, that was “Bound for Rescue”. That was episode 424. We had just finished the episodes “An Old Friend” and “Rise of Clovis” and I think those got pushed to Season Five so that “Bound for Rescue” and that whole arc could go in there. Occasionally, I’ll get these characters and this is one of them, where they give you specs, and I always try to give them what they are asking for, but if the character speaks to me in a certain way, I throw something extra in. They described Preigo as a carnival barker, and they mentioned wanting a Southern voice. I don’t want to say Foghorn Leghorn, but something along that line — over-the-top and flamboyant. I was reading the dialogue and the first voice that came to my mind, really, was Frank Morgan’s character from The Wizard of Oz. [Laughs] Professor Marvel. So I did sort of a riff on that, and out of all the things I submitted for that character, that’s what they ended up going with. It’s always fun doing those episodes, especially when Jim Cummings is in there doing Hondo, because you never know what he’s going to say. That was a pretty wild group of episodes. A lot of fun. 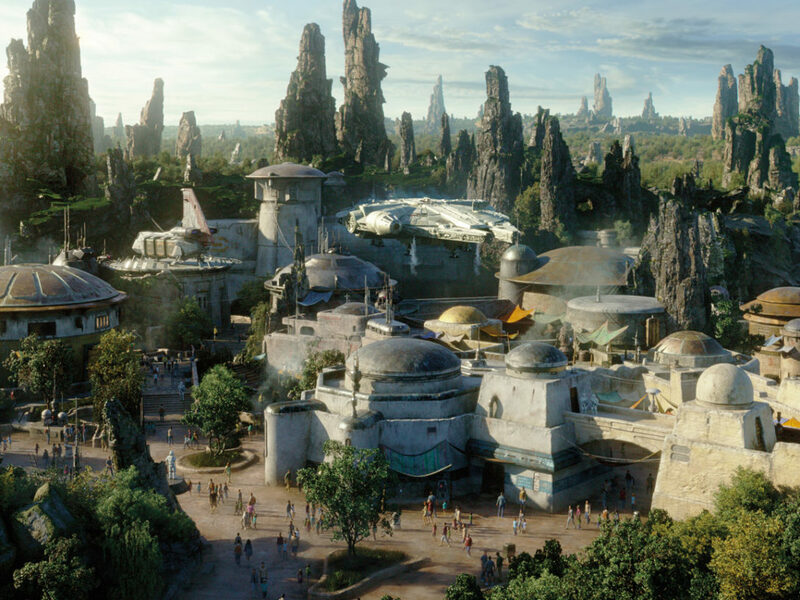 StarWars.com: You play a somewhat balanced group of characters, but it seems maybe the scale tips more toward villains and bad guys. When you get to play such a whimsical character like this, is that extra fun for you, or a break from playing the heavier characters? Stephen Stanton: Yeah, it is. It’s nice to do something different and explore different kinds of personalities within the Star Wars universe. There’s this whole aspect of, “What do they do in the Star Wars world for entertainment? For people who don’t like to hang out in cantinas?” Do they go to movies? Well, the circus comes to town. The traveling sideshow kind of thing. 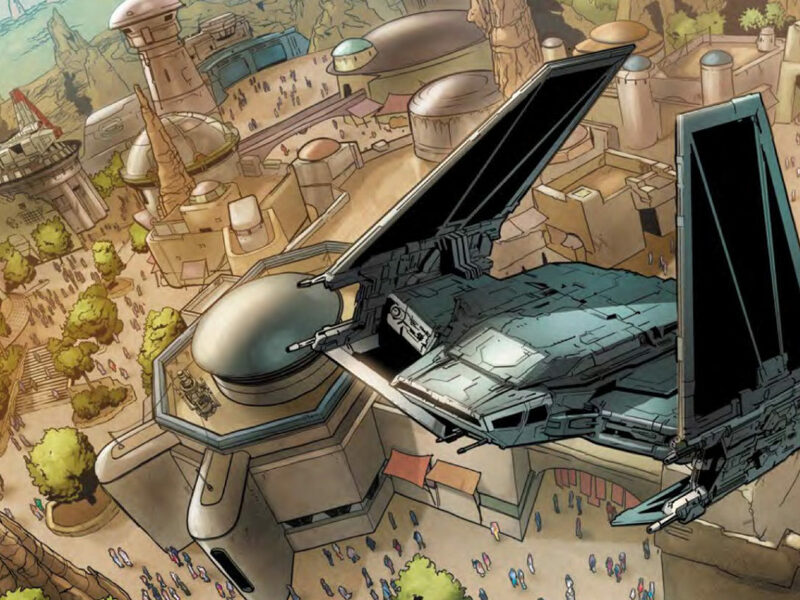 So it’s fun to address the colorful types of characters that we associate with venues like that, and recreate them in the Star Wars universe. Stephen Stanton: [In AP-5 voice] “Ah, yes. AP-5.” And you know who AP-5 is named after, right? StarWars.com: I don’t know if I do. Stephen Stanton: It’s Athena Portillo, our producer. Stephen Stanton: And she’s five feet tall. So that’s where they got the name AP-5 from. I think they talked about it in one of the behind-the-scenes articles. I didn’t know this going into it. Like I said, auditions come in from Clone Wars and Rebels very secret. But that was not the case for this character because they wanted everyone to know he was going to be Chopper’s counterpart. So they had a description that was fairly lengthy and said they wanted an Archie Bunker type or a grumpy Christopher Walken. They said, “Think of Chopper and this guy as the Statler and Waldorf of Star Wars.” [Laughs] So I gave them a few different reads based on those specs. But when I was reading the dialogue, which is slightly different from what we ended up recording for the show, it was extremely confrontational between AP-5 and Chopper. And AP-5 was very snooty and very much a know-it-all. And I thought, you know who he reminds me of? He reminds me of Hans Gruber — the character Alan Rickman played in Die Hard. StarWars.com: Oh, wow. Okay, I can kind of hear it now. StarWars.com: That’s great. Now, AP-5 has a bit of an effect on his voice. It’s some kind of filter to my ears, which I think is different than most of the characters you played. Does that impact the way you might play him? Stephen Stanton: No, because it’s just a slight hollow effect they added that makes it sound like his voice is coming from inside a machine. They’ve actually used less of it as the series progressed. StarWars.com: The song that AP-5 sings when he’s out in space and accepting, I don’t know, his mortality… Where did that come from? Was that scripted? And what was it like performing that? It’s so funny to me. I just love that sequence. What I love about this is it shows the brilliance of Kevin Kiner, the composer on the show. I just made up the tune as I went along, and I sang it a few different ways. I gave them a real sort of Broadway, Ethel Merman belting-it-out version, and then I did it quieter, more to myself and then I gave them something in between. But there was no music for me to sing to, and usually when I’m working on Disney shows they have the tracks prerecorded, and you sing to the prerecorded music. But there was nothing here. So Kevin Kiner took my ramblings and actually turned them into beautiful music. My hat is off to that man. He’s a genius. Well, it’s true to Tarkin as a character. Aresko and Grint were very much the comedy relief characters and I think they telegraphed to the audience the change in tone by the end of the season by doing what they did with those two characters. Dave Filoni and his team are telling Star Wars stories for fans of all ages, no matter what medium it’s being done in. 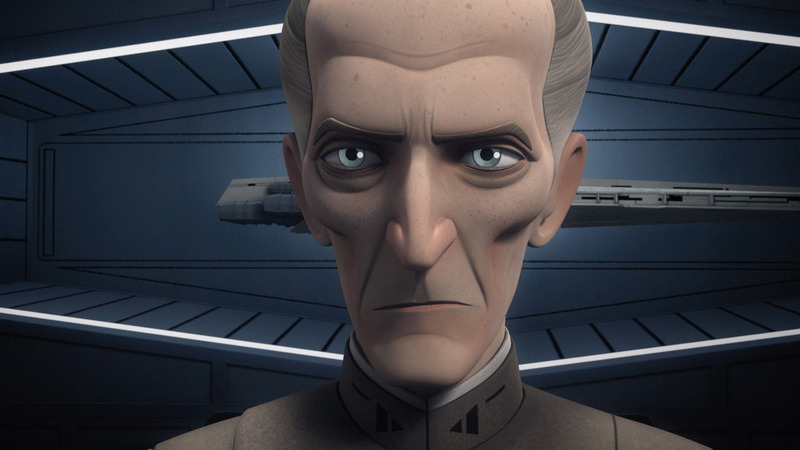 StarWars.com: In playing an older Grand Moff Tarkin, did you find it difficult at all to lower your voice and make it raspier, because there is a clear difference between listening to you on Clone Wars and on Rebels. Stephen Stanton: Physically it’s not difficult. I think it’s just, mentally, you have to remember the place that you’re in so you stay there, and not drift back into the younger version. It’s remembering where the character is in his arc and in the storyline and keeping it there. Stephen Stanton: [In Moralo Eval voice] “Everyone’s favorite criminal mastermind!” That was a delicious character to play. This psychotic bounty hunter, who’s like, trying to not only contain his rage but his psychosis and everything else… I mean, this is a character that’s bordering on the verge of madness with that whole business of him referring to himself in the third person. And there was that one line and I can’t remember if it ended up in the show, but I think Mace Windu and Obi-Wan are talking about who Moralo Eval is and they say, “Well, he killed his mother when he was a child because he was bored,” and I think in my script, originally, it said he killed his mother when he was seven out of boredom. So they were just establishing a life-long criminal mind here. [Laughs] Those were fun to play. As Corey Burton mentioned to me — of course, he was Cad Bane. He came to me while we were in the middle of this arc and said, “Aren’t these things great? They remind me of the old Warner Brothers gangster films, like a Bogart or a Cagney picture where everybody in it is a criminal, all the leads!” So it was fun to do an arc like that where there really were no good guys. All the baddies getting together and having their adventure. It was just criminals from the beginning to end. StarWars.com: When you’re playing a character like this, as opposed to a Ben Kenobi or a Tarkin, where it’s up to you to really define who it’s going to be, what are the challenges in that? How do you know how far to push it or if you’re being too subtle? Because those things are really important when you’re voice acting. Stephen Stanton: Well, you have to go with your intuition and what your gut tells you. And then, of course, the director is going to steer you in the right direction if you’re going too far one way or the other. Like I said, Dave Filoni is one of those directors, and most good directors do this — they let the actor give you what they come there with and then start fine tuning the performance if it’s going awry. Moralo Eval was much like that. He’s really this insane madman but he’s trying to contain it. That was the way I did it. If you were to watch my body language while I was doing that character, my shoulders were scrunched up, my hands were all curled in. [Laughs] My body was contorting, which you have to do. You have to get into the character physically, otherwise it just doesn’t play right. StarWars.com: Right. You said you had a lot of fun playing him. Do you have a favorite Star Wars character that you’ve voiced? Stephen Stanton: Oh, the question everybody asks. My favorite is always the one that I’m doing. If I were to list my favorites it includes Tarkin, Ben Kenobi, Gascon, Moralo Eval, AP-5, Raddus. It becomes never-ending when you start thinking about who your favorites are. They’re just so much fun in their own way, because they’re so different. Think of Gascon and Moralo Eval. One is a very over-the-top comedic character and one is an over-the-top monstrous character. But they are both a lot of fun to play but for very different reasons. StarWars.com: I want to ask you about the generic, faceless characters that you get to voice, like stormtroopers and Imperial officers. Stephen Stanton: Right. Well, a lot of these one-off characters, or Stormtrooper Number 1, 2, or 3, or whatever, many times these are not characters that you are auditioning for. They will ask you to do those at the session. StarWars.com: It’s like a “We need a stormtrooper, can you help us out” type thing? Stephen Stanton: Yeah. So those characters will get thrown at you at the last minute and you have to be on your toes and come up with something. 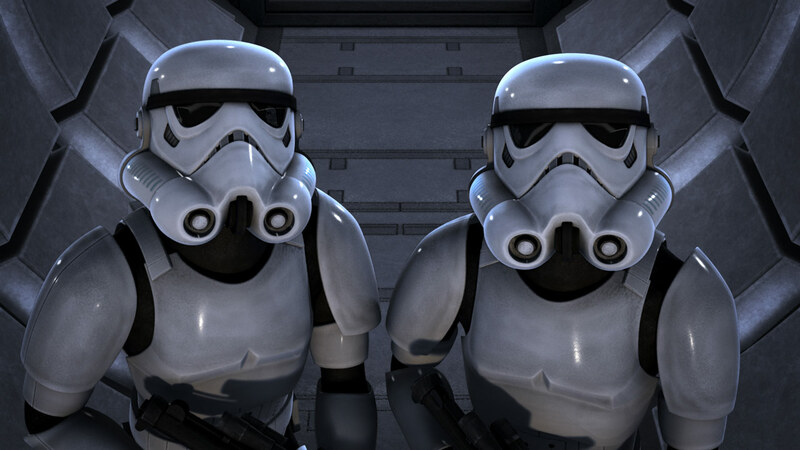 The Imperial officers, I usually try to go for something British in keeping in line with the feature films. Stormtroopers usually have American accents. The one stormtrooper I played that looked at the graffitied TIE fighter and said “I kind of like it” became known as JTN-303. It was sort of a funny line for a stormtrooper and I think that’s why people gravitated towards it. In the script he didn’t have that call sign, it was ”Stormtrooper Number 2”. 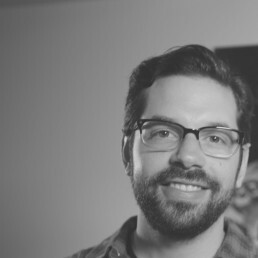 Michael Kogge wrote the Star Wars Rebels: Battle to the End novel and that’s where he gave those call letters to that character. We asked him about it, where that came from, and Michael Kogge said those are the initials of his best friend. So that’s where JTN comes from. Stephen Stanton: That is another character that I did not audition for. That was the Savage Opress arc. It was a lot of fun because I got to work with Clancy Brown, who towers over me, and that was when we were still in the small studio. We were literally elbow-to-elbow in there and we’re trying to do our fight sounds and everything. So it was close quarters but a lot of fun. Clancy’s a great actor and really fun to work with. And Brother Viscus, you know, I loved the concept of that gladiator school but I wasn’t really sure what they wanted for that character. When you don’t audition, you kind of work it out right there on the set. You try things out and Dave Filoni describes him for you. Since they went to this gladiator school I thought, what about Peter Ustinov’s character in Sparticus? But Dave said that was a little too broad. So I did this raspy voice. He was a higher-pitched sort of guy. When you get Mak Plain and these characters that are all part of a particular species, a lot of times what you do is informed by how this species has been portrayed so far. And then you kind of give something in that vein, but try to make this person an individual. How is their throat arranged? Will that make sounds come out a certain way, and then create a personality on top of that. Garri, who’s a Toydarian, we didn’t want him to sound exactly like Watto in The Phantom Menace, but he still had to have that same quality. You didn’t want him to sound so different that people say, “Oh, this guy sounds like Mickey Mouse or something.” It has to sound like what people already know Toydarians sound like. StarWars.com: Well, it’s interesting with Brother Viscus, because you’re saying he’s a little more high pitched and raspy, and you can tell, through that, that he’s kind of middling — someone who is not the most courageous person. It’s always amazing when the vocal performance matches what you see on-screen in how they animate the body language. Stephen Stanton: Well, that’s true. When we were doing new characters in The Clone Wars, especially — they did it on Rebels for a while too — they would set up a video camera to capture the physical performance of the actor while they were doing their lines. You could sometimes see elements of your physical performance, like what I did with Moralo Eval, turn up in the animation because the way you say things is determined by what you’re doing with your body. So if a person is [strains voice] getting up out of a chair and using their arms to brace themselves, you might hear a little strain in their voice. If you were going to animate that you might want to include the actor’s action to imitate what the voice is doing. If you know a character is doing a particular physical thing, you want to try and emulate that with your voice. 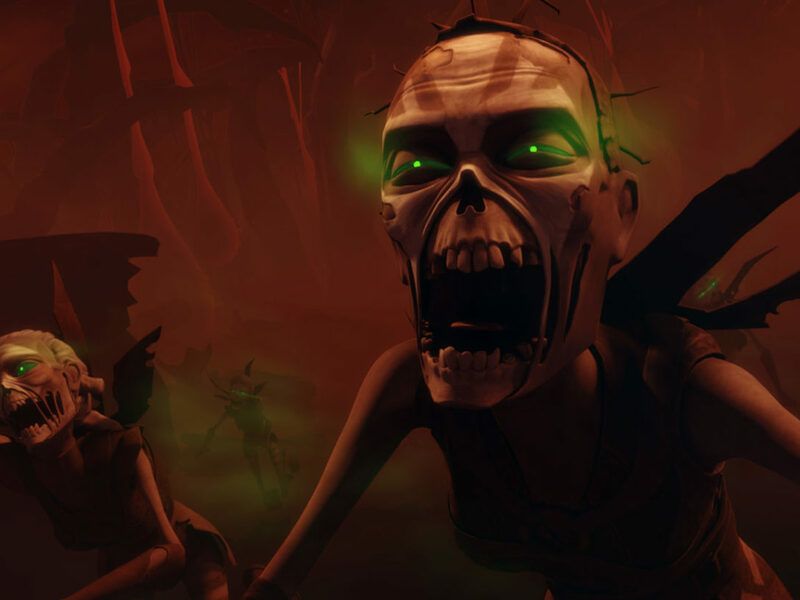 StarWars.com: As we’re in the final season of Star Wars Rebels, what has the experience of working on this show and Star Wars in general meant to you personally? 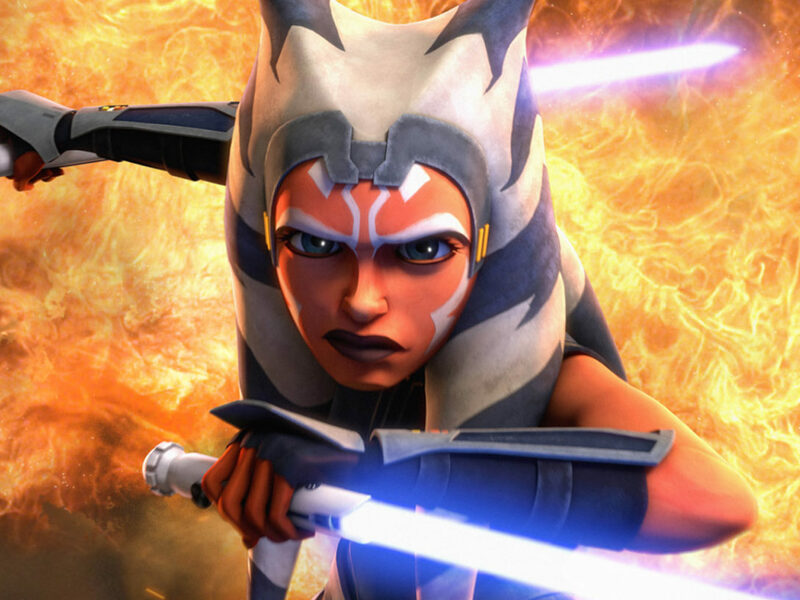 Stephen Stanton: Well, Star Wars Rebels has really been quite an adventure. I was brought in to do Tarkin and I pretty much figured that would be it. It had a very centralized cast as opposed to Clone Wars, which had an enormous cast, with all kinds of characters and storylines going off in a lot of directions. So Rebels has become an enjoyable ride because AP-5 was an unexpected pleasure — to be able to help create that character and have him become a part of the Ghost crew in his own surly way. It’s a nice time period to be exploring, too. I loved how it all sort of dove-tailed into Rogue One with Chopper being there and “General Syndulla”… I love the way everything connects now the way it does. Getting to play Admiral Raddus and contribute a new character to that part of the saga, which we all thought we knew so well, and be a part of that whole new group of characters with Jyn Erso and everybody in Rogue One. That was… There aren’t even words to say how gratifying that was, to work on Rogue One. And to be a part of Star Wars, it seems like a dream because it’s something that happened so long ago when I was a kid. It’s almost hard to imagine that it’s still going and stories are still being told this many years later, and that it’s a part of my work and part of what I have been able to contribute to with my work. Dream come true, I think, is how you quantify that. 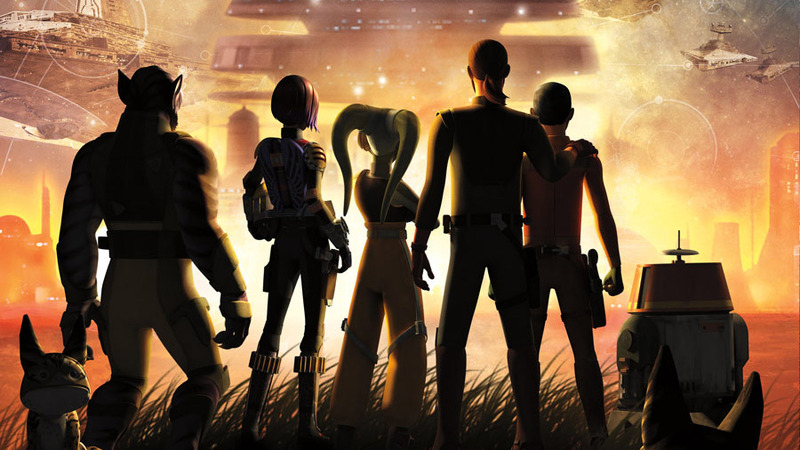 Star Wars Rebels returns for its final episodes on Monday, February 19, on Disney XD.